Like Sweden’s Ericsson, the Finnish telecom-kit maker will gain if the Chinese rival is shut out of more markets. Yet Nokia’s valuation is lower than for much of last year and CEO Rajeev Suri expects a so-so 2019. A European ban on Huawei would change that. 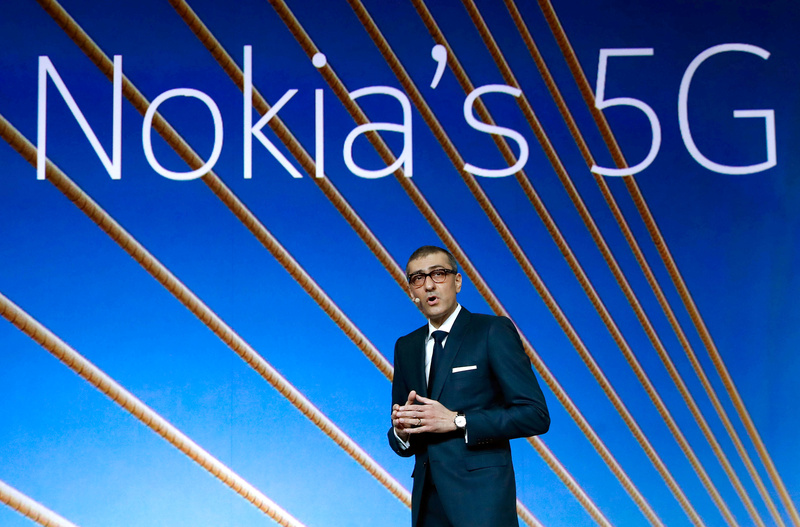 Rajeev Suri, Nokia's President and Chief Executive Officer, speaks during the Mobile World Congress in Barcelona, Spain February 25, 2018. Nokia on Jan. 31 said net revenue in the final three months of 2018 was 6.9 billion euros, better than a median analyst estimate of 6.6 billion euros in a Reuters poll. The Finnish telecom-kit maker’s operating profit rose 12 percent year-on-year to 1.1 billion euros, or 6 percent above the median forecast. Chief Executive Rajeev Suri said he expects Nokia to outgrow the telecom network market in 2019. He thinks the wider market will be “flattish” this year compared with a previous expectation of growth. Earnings per share will be between 0.25 euros and 0.29 euros this year, he said, compared with 0.23 euros in 2018. The European Union is considering proposals that would effectively amount to a de facto ban on Huawei Technologies equipment for next-generation mobile networks, Reuters reported on Jan. 30. Nokia shares were down 6 percent to 5.3 euros at 0800 GMT on Jan. 31.